Today I'm drinking Sankaty Light Lager brewed by Cisco Brewers in Nantucket, Massachusetts and under special agreement in Ipswich, Massachusetts. 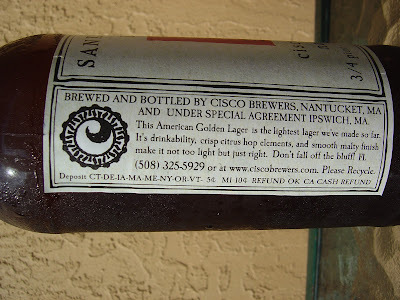 The label brags that this is the lightest lager they've made, and Cisco even includes its nutritional analysis: Calories: 126; Carbohydrates 10.8g; Protein 1.0g; Fat 0g. 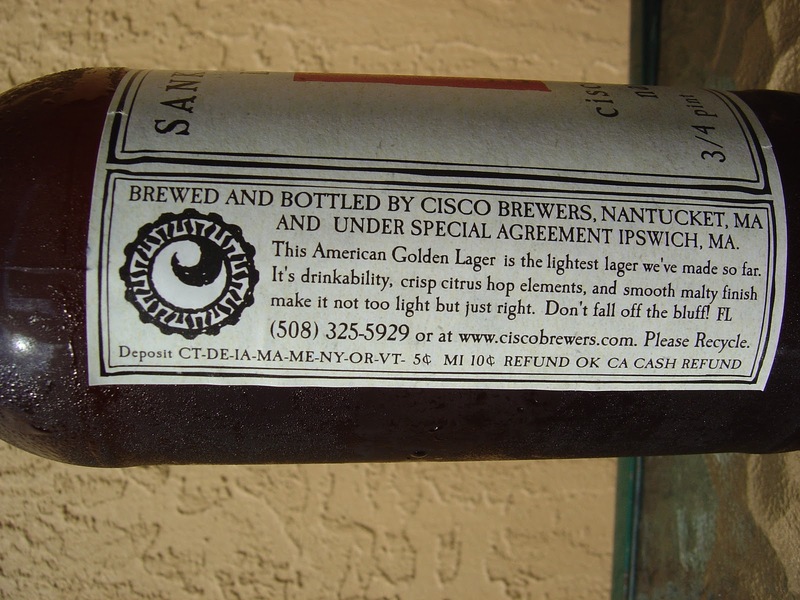 There is a simple lighthouse depicted on the label which also suggests... "Don't fall off the bluff!" Lemony lager-esque grainy aroma. Corn flavors start things off followed immediately by a bitter hoppy bite. A little citrus brings you to a metallic aftertaste that lasts and lasts. High carbonation that hurts to swallow adds to the not-so-nice profile. Watery, weak and I easily prefer Natty Light or Bud Select 55 over this! I've had way worse, but this was not a good beer at all! Terrible! Yeah, the label was simple yet nice. Too bad. 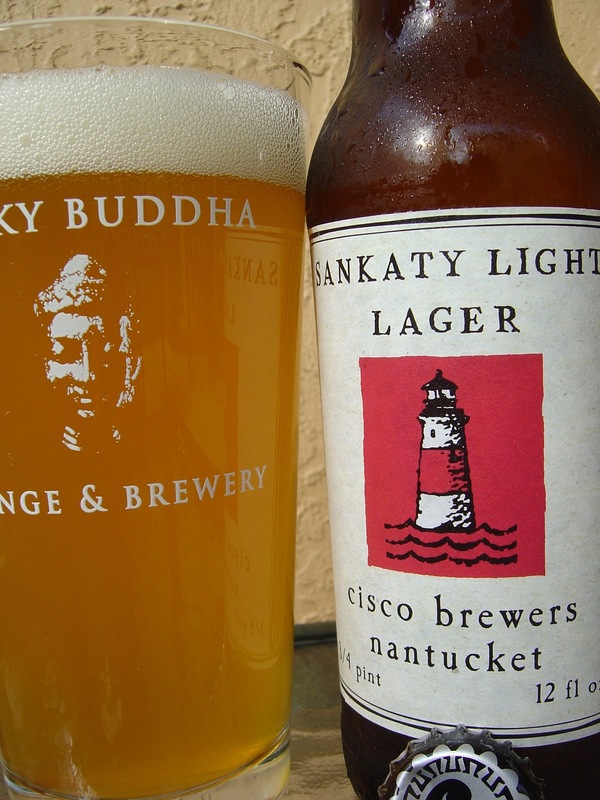 Looks good next to a Funky Buddha pint glass too.